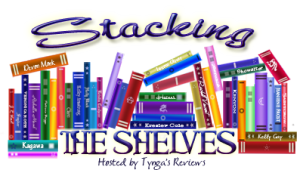 Stacking the Shelves with a New Book Haul (13 Apr 2019)! I didn’t manage to post about my book haul last week so this post is a bumper two week book haul! I’ve acquired way too many books over the last fortnight but I’ve not been well and I can’t resist temptation when I’m not feeling great (that’s my excuse anyway!!). I still haven’t read Clothes Music Boys but I couldn’t resist grabbing a copy of this as it sounds like a book I will love. I hope to get to it soon. I’ve wanted to read this book ever since it was first published but I never seem to remember about it when I’m book shopping but this week I finally bought a copy and I can’t wait to read it! This was an impulse by on Kindle as the blurb grabbed me and I couldn’t resist! I also bought this on Kindle as I love this author and I believe this book might be the start of a series so I’m really keen to read it soon. Another impulse buy on Kindle! I love Pierre Lemaitre’s writing but somehow missed buying a copy of this book when it came out but I’ve rectified that now and I’m looking forward to reading this. I read another book by this author quite a long time ago and remember really enjoying it so I couldn’t resist picking this book up when I spotted it. I’ve not read anything by this author before but the blurb sounded really good so I bought this on Kindle. I enjoyed the author’s first book so when I saw this on the Kindle daily deal this week I snapped it up! This was an Audible purchase as I’m enjoying listening to books at the moment so grabbed this one on a whim when it was deal of the day. I received a surprise copy of this in the post last week and I was thrilled! I love Collette McBeth’s writing and have been eagerly anticipating this book being released. I read an extract from this book in one of the papers last week and I knew then that I had to read the book. I was delighted to be approved to read it on NetGalley and will be reading it very soon. This is another of my highly anticipated 2019 releases so I was so happy to be approved to read it on NG this week. I’ve been so looking forward to reading blogger-turned-author Noelle’s debut novel so am thrilled to have a copy on my kindle and will definitely be reading this one very soon! I requested this book on NG as the premise sounded really interesting. I loved Alice Feeney’s first book so have been keen to read this second novel. I’d forgotten I’d requested this book on NG so it was a fab surprise when I got an approval email for it. It was lovely to be sent a pre-approved link for this NG book as I’ve been wanting to read this book for ages. I hope to get to this very soon. I downloaded this book from NG on a read now as it sounds fascinating. It’s about a murder that Harper Lee was researching but she ended up not writing a book about it. I couldn’t resist that premise. I’m delighted to have been sent this book as Orenda Books are always brilliant and this one sounds so good. I’ll be reading this one soon as I’m going to be on the blog tour for it next month. This is another Orenda book and I’m so keen to read this one. I’ve enjoyed the author’s previous books but this one sounds even better! I’m going to be on the blog tour for this book and I’m really intrigued to read the book. I wasn’t sure if it was for me at first but now I can’t wait to start reading it! This sounds like an emotional but also uplifting book and I’m really enjoying books like this at the moment so it won’t be long before I pick this one up. I’ve read a previous book by Helene Fermont and very much enjoyed it so I’m delighted to have another of her books to read. This is another blog tour book, it’s an audio book so I expect I’ll be listening to this in the coming week as I find audio is the easiest way for me to read books at the moment. I don’t know where the weeks are going at the moment, I can’t quite believe that it’s Saturday again already and time for my weekly wrap-up post! I’ve realised over the last few days that due to my physio schedule increasing I simply don’t have the energy and brain power to read as many books, or to write as many reviews or posts on my blog. I’m not sure yet whether I’m going to post as and when I can, or whether to try and make some sort of schedule so I still have regular posts. If any of you have any suggestions on how to manage book blogging alongside a hectic real life then please let me know in the comments. Any and all advice is much appreciated. This week on my blog I’ve posted my usual WWW Wednesday, and Book Beginnings posts. I also did my monthly wrap-up for November. I’ve read four books this week and have managed to review all of them. This week there has been a huge sale on Kindle books due to Black Friday and Cyber Monday deals and I went completely and utterly one-click happy! I was debating whether to post pics of all of the books I bought as it will show how out of control I’ve been this week, or whether I should just post highlights. In the interests of always been truthful on my blog, I’m listing them all. Please don’t judge me! The first four books are books I already own, and have already read, in print but when I spotted them on sale as ebooks I decided to buy them in this format as well. The following are all books on my wishlist that dropped in price over the past few days and so I couldn’t resist buying them! The next four books are all Christmas books that I couldn’t resist buying even though I’m not sure I have time to read all the Christmas novels I already own! And the last two books that I bought this week were two books that I’ve had on my wishlist for ages and couldn’t resist them any longer. The Melissa Hill book was just released on Thursday and I’ve been waiting for it to be out! And I won a proof copy of The Missing Husband by Amanda Brooke in a completion run by Shazsbookblog.